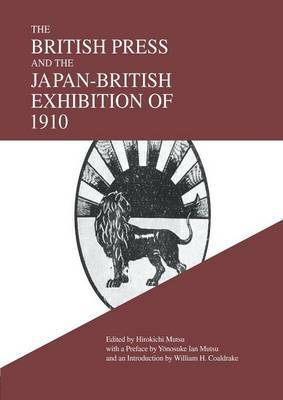 The Japan-British exhibition in London, 1910 was the most concerted and systematic attempt by Meiji Japan to explain its traditional society and arts, modern industry and empire, to its most important international ally, Great Britain. This is a facsimile edition of the original book compiled and edited for the exhibition by Count Hirokichi Mutsu (1869-1942) and published in London and Tokyo in four parts in 1910 and 1911 by the Imperial Japanese Commission. This compendium of newspaper and journal articles, starting in March 1909 and ending in December of 1910, covers the preparation, activities and immediate aftermath of the Exhibition. Making widely available a veritable treasure trove of information and insight, it will be of interest to students and scholars of Japan and Britain alike, providing authoritative insights into contemporary attitudes in each country towards the other.